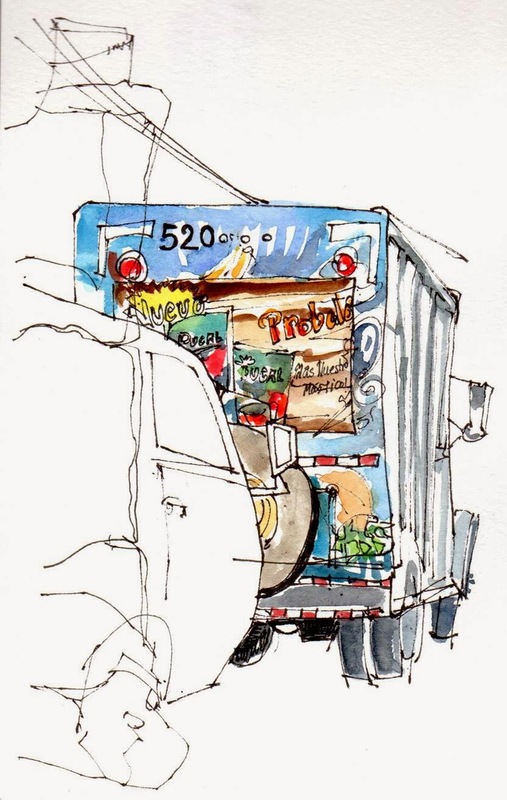 Sunday morning 10 am: few shops are open - one of them is the liquor store. 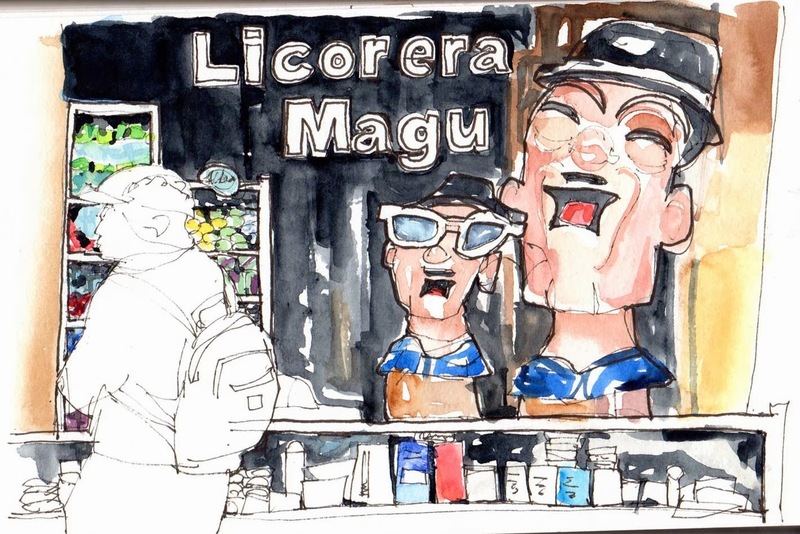 Placed on the counter are these two large and not entirely pleasant looking mascots of Magu. 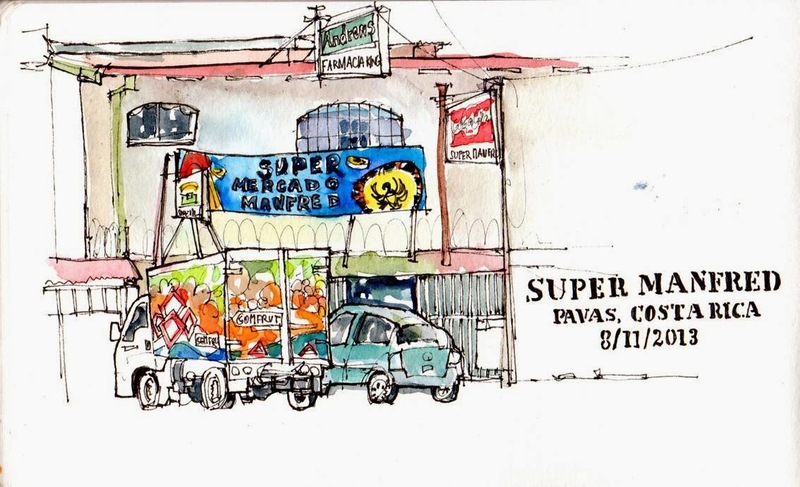 Friday morning: sketching in Pavas with fellow sketcher I.
Super markets and trucks and other wonderful scenes of which there are plenty in Costa Rica.